Looking for professional photo services on Bonaire? While Bonaire may be a small island, once you arrive here, you’ll quickly realize there’s a lot to see and a lot to do. Whether you choose an active vacation or a more laid-back, relaxed pace, you’ll be surrounded by beauty every step of the way. BonPhoto wants to help you capture that beauty in the best possible light, which is why we provide an extensive selection of both video and photo services on the island.  From personalized photo and video courses dedicated professional advice, our camera shop offers all the photo services you need to preserve your memories of the island. If you’re looking for Bonaire’s foremost camera professionals, you’ve come to the right place. A vacation to a tropical island provides the perfect excuse to upgrade your existing camera or purchase a new one. However, working with new equipment can raise unexpected questions. Thankfully, you can always depend on BonPhoto’s video and photo services if you’re looking for answers. We can teach you how to make the best use of your camera and shed some light on important maintenance techniques. In addition, we offer all the video and photo services you would expect from a high-quality camera shop back home. Video editing, camera repair and photo development are all available at our shop. Our video and photo services even include guided underwater tours and the ability to hire private professional photographers and cameramen to document your special moments on Bonaire. BonPhoto strives to provide the best photo services on Bonaire. This means we’re always happy to go that extra mile to make sure you that you have access to photo services that meet your personal needs. If you visit our shop, our staff will gladly answer any questions you might have and work with you to find the ideal solution. Would you like to have access to specific camera-related expertise during your stay on Bonaire, or would you like to know more about our rental options or personalized video and photo services? Please feel free to stop by our camera shop or contact us online. At BonPhoto, you’ll always find what you’re looking for.